Get answers to your non-urgent medical questions through your desktop or mobile device anytime, anywhere. Make appointments and submit forms. Schedule your next appointment, or view details of your past and upcoming appointments. Expedite appointment check-ins by completing and submitting online forms to your doctor’s office. 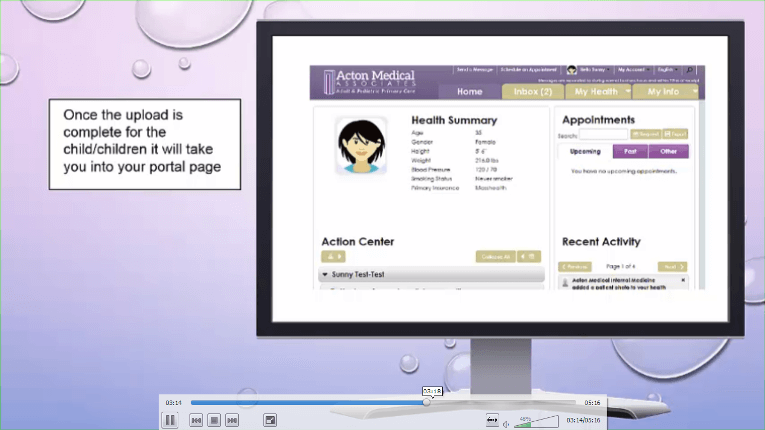 Access your test results and medical records. View test & lab results and doctor’s comments within days of your appointment. Review your personal medical record including clinical summary, conditions, and medications. View personal health information from other health organizations participating in the FMH patient portal. Send a renewal request for any of your refillable medications. Email your primary care provider with your need for a referral and determine the best specialist for your care based on your medical history and symptoms. Make more informed decisions about your health. Create an account with FollowMyHealth and join the patients who are taking a more active role in managing their health and wellness. 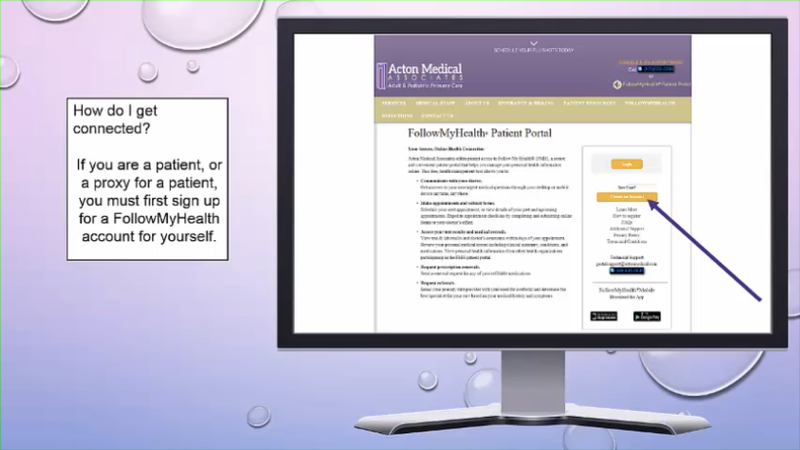 If you are a parent or legal guardian, or if you have a dependent who is an Acton Medical patient, you can obtain proxy access for that patient’s health information through your FollowMyHealth patient portal account. Proxy access enables you to keep track of your child’s or dependent’s appointments, medications, health information, and, in most instances, communicate with their health care provider. To request proxy access, download the form and follow the instructions for submission. Once you receive the invitation email please follow the steps for becoming a proxy. For a brief demonstration of how to use FollowMyHealth, we invite you to watch a three-minute video. As mentioned in the video, there are some features that may vary from organization to organization. How to send documents to the practice.